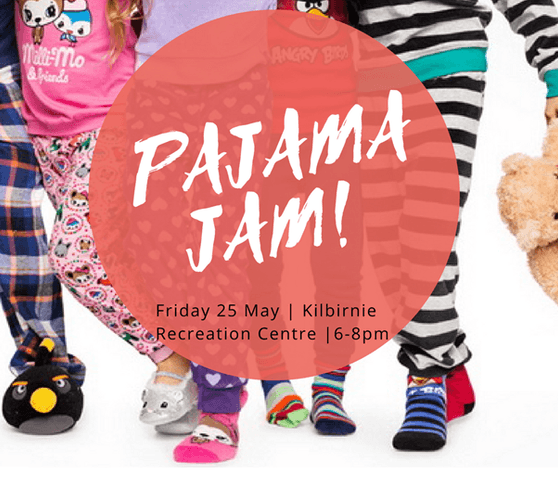 Grab your jim jams, fluff up your pillow and put your favourite bed socks in some skates and join us at the Kilbirnie Recreation Centre for our Pajama-Jam Roller Disco! Round up your friends for a night of guaranteed fun on wheels, listen to your favourite tunes, play games and win prizes - all in the comfort of your very own PJ's!! Pre-sale event only - Tickets are available from Wednesday 9th May at 9am until Wednesday 23rd May at 5pm from the Kilbirnie Recreation Centre. Limited tickets so get in quick! Appropriate for ages 4-12 yrs. Phone 04 387 1491 for more information.